Make a princes statement with this gorgeous tulle and lace ball gown! The bodice is adorned with beaded lace applique and matching lace arm wraps. 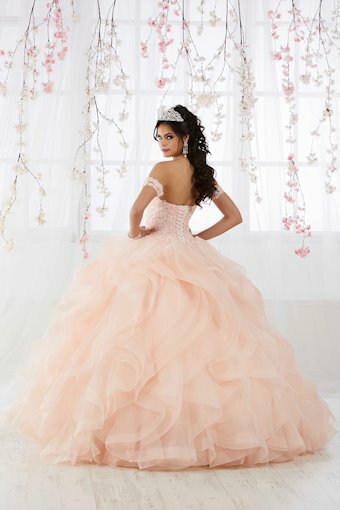 Cascades of ruffle tulle and horsehair add a touch of drama. This look is finished with a corset back.